Monday, May 13, 2019, 1 – 2:30 p.m. Preparing a course for the fall in Canvas? Learn the basics and come prepared for Fall quarter. 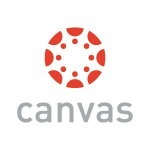 Newcomers and experienced Canvas users welcome.